Read Daniel 2:16-19. Notice how Daniel calls on his prayer partners when things become difficult. 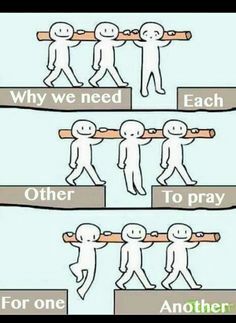 Have you formed friendships with godly people who can partner with you in prayer? Are you helping those under your care learn the value of mutual prayer? This entry was posted on Wednesday, June 13th, 2018 at 5:07 am	and tagged with Daniel, prayer, prayer partner and posted in Engage Others. You can follow any responses to this entry through the RSS 2.0 feed. My pleasure. It’s wonderful how God organizes things so that, without even realizing it, we do something helpful to another person. How kind of you to let me know what God did. Wow…sth I’ve been thinking about this week with a friend. Thank you for the reminder.